We medusas consists of a video-installation produced for a former car workshop, a gendered masculine environment. 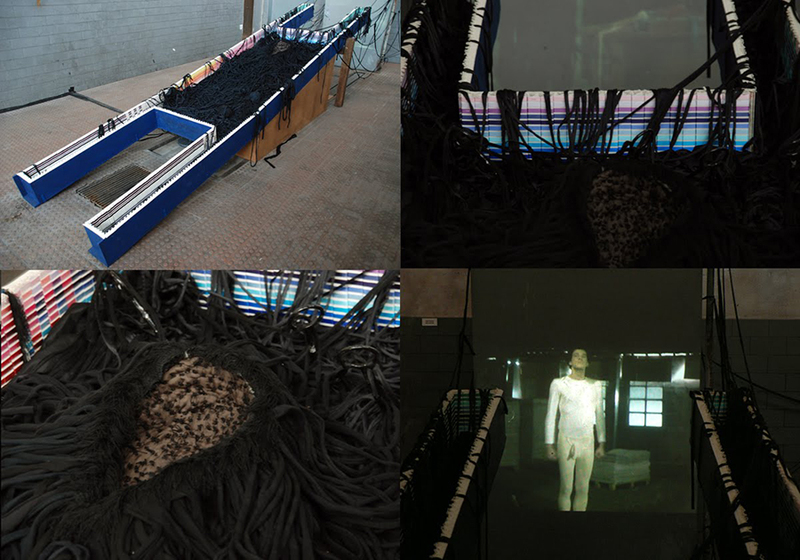 In the video We medusas, one finds a group of women dressed in a dated fashion, producing a sort of textile activity. A young man appears on scene, first peeking at the ongoing labor, timidly making himself visible. In reaction to being laughed by the women, the man undresses, and this leads to one of the woman to slap him. A process of conversion takes place. The man is dressed in a costume seemingly resulting from the production of the labor of these women.